The first seven-star resort in Argentina that offers a convention centre, casino, spa and on-site select restaurants among other amenities. 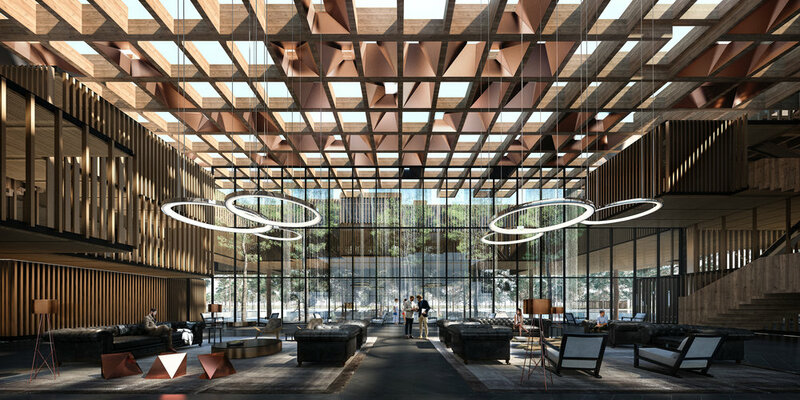 The different geographical features like sand dunes, forest, lake and seashore the land offers, led the hotel to arise as a linking structure. 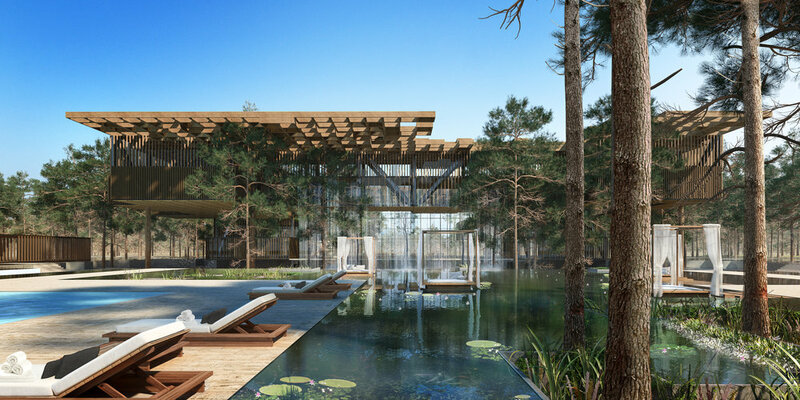 Designed with large windows in all of its sides, this project creates a 360-degree view of nature from within and enhances its relationship with the forest and the sea.